As more baby boomers head for their retirement years, many are turning to reverse mortgages to help boost their nest eggs. Reverse mortgages serve as an option to give seniors access to an incremental, sustainable financial resource to allow them to age in place. While they have been around since the 1980s, there was a surge in popularity during the financial crisis a few years ago. Reverse mortgage volume peaked at 114,000 loans in 2009 before returning to its usual level. 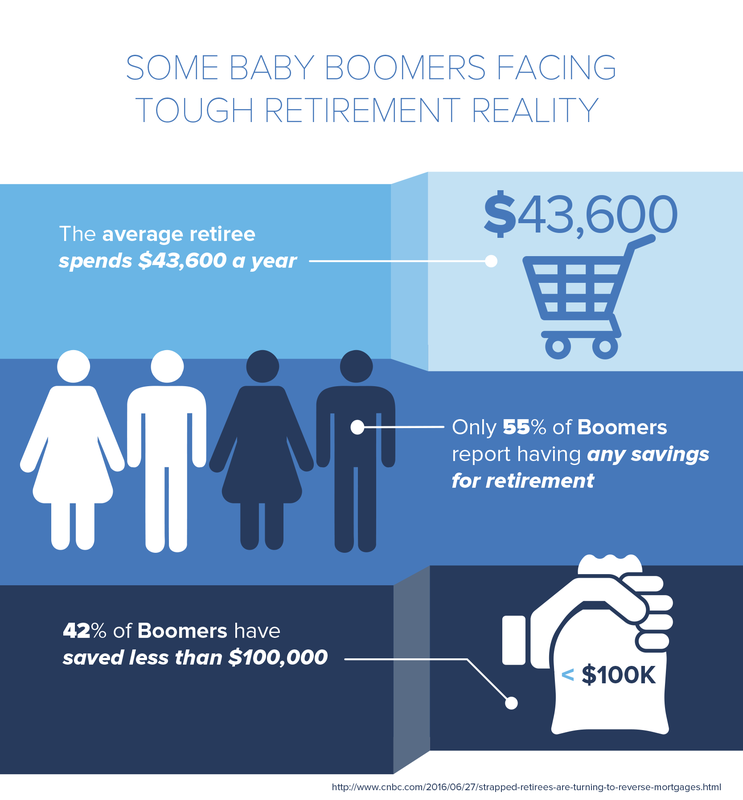 But experts think the demand will increase again as the retiree population continues to grow, and many baby boomers have little saved for retirement. According to a study1 from the Insured Retirement Institute, only 55 percent of boomers report having any savings for retirement. Among those, 42 percent have saved less than $100,000—enough to provide an income of less than $7,000 a year. According to data2 from the Bureau of Labor Statistics, the average retiree spends $43,600 a year. A reverse mortgage can help fill that gap. This special type of home loan allows borrowers who are at least 62 years old—and who meet other eligibility requirements—to convert some of their home equity into cash. The money can come in the form of a lump sum, a monthly payment, or a line of credit. Interest is added to the loan each month. The reverse mortgage must be repaid when the last borrower, co-borrower, or “eligible spouse” either sells the home, moves out, or dies. During the financial crisis, some reverse mortgage holders ran into trouble. Borrowers were taking out the maximum amount of equity in large lump sums, but when the money ran out, they had no more equity to tap. They were often left with little ability to pay property taxes and insurance premiums, which are required by reverse mortgages. In other cases, some seniors who weren’t eligible to be listed as borrowers were forced to sell or foreclose their homes when a borrowing spouse died or was moved to a care facility, forcing the immediate repayment of the reverse mortgage loan. Federal regulators have since put new rules in place for reverse mortgages—limiting the amount of equity that can be borrowed, for example. These new rules could also include stricter supervision of lenders and more transparency for borrowers to better protect consumers. While reverse mortgages can be a valuable tool and benefit seniors if used correctly, a lot of people are using them incorrectly, as a quick fix. Reverse mortgages are not for everyone, and many financial advisors still recommend the loans as a last resort and not an alternative to saving for retirement. 1 "Boomer Expectations for Retirement 2016." Insured Retirement Institute, Apr. 2016. Web. 2 Stoffel, Brian. "Here's What the Average Retired American's Budget Looks Like." The Motley Fool. The Motley Fool, 25 Jan. 2016. Web.